The Grade II Listed Canada House on Chepstow Street was constructed as a purpose-built packing warehouse for the large packing company H. S. Booth & Company Ltd, opening in 1909. Having recently acquired the building, LJ Partnership were keen to refurbish the under-utilised office spaces. SLHA undertook an initial heritage appraisal of the building, which set out a series of opportunities and constraints, in regards to refurbishing the building without adversely impacting on its character and appearance. 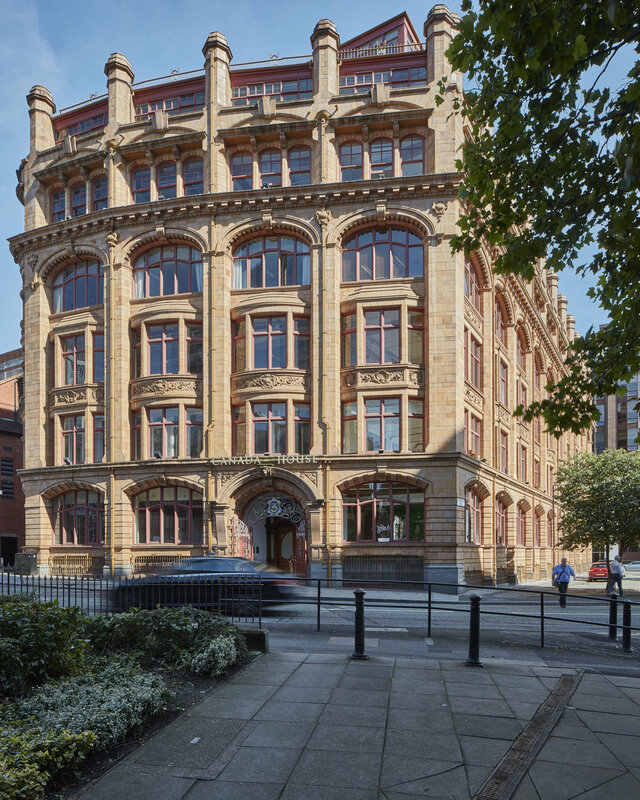 Following this initial piece of work, SLHA worked with the design team to develop proposals that integrated modern office requirements with the historic fixtures, fittings and features of the building.